In November 2017, we honored seven leaders from across the four decades whose commitment, passion, and work inspire others and meaningfully advance LGBTQI justice in our communities around the globe at our 40th Anniversary Gala. Listen to their acceptance speeches! 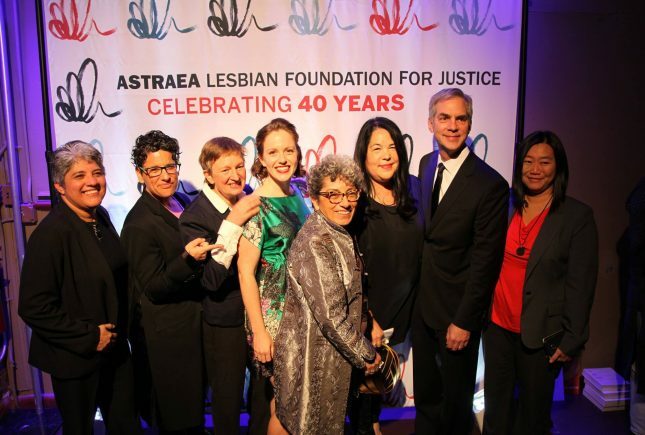 On November 13, 2017, we celebrated Astraea’s 40-year history of lesbian feminist activism at our 40th Anniversary Gala in New York City. We had a great time, and relished the opportunity to honor leaders from across the four decades whose commitment, passion, and work inspire others and meaningfully advance LGBTQI justice in our communities around the globe. As each honoree accepted their award, they gave a short speech. Catch up on the speeches below!